Estimated pivot point is at a level of 1.2487. 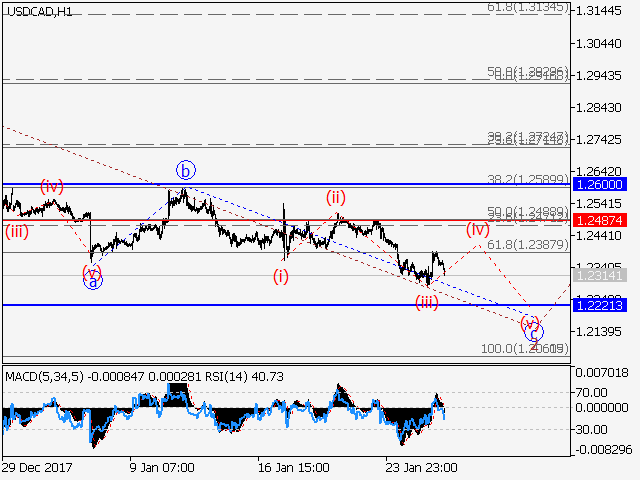 Main scenario: short positions will be relevant from corrections below the level of 1.2487 with a target of 1.2220. Alternative scenario:Breakout and consolidation above the level of 1.2487 will allow the pair to continue rising to a level of 1.2600 and higher. Analysis: Supposedly, a descending correction continues to develop within the 4-hour time frame in a form of the wave 2 of (5). Apparently, the wave c of 2 is forming now, with a local correction of junor level (iv) of c forming inside. 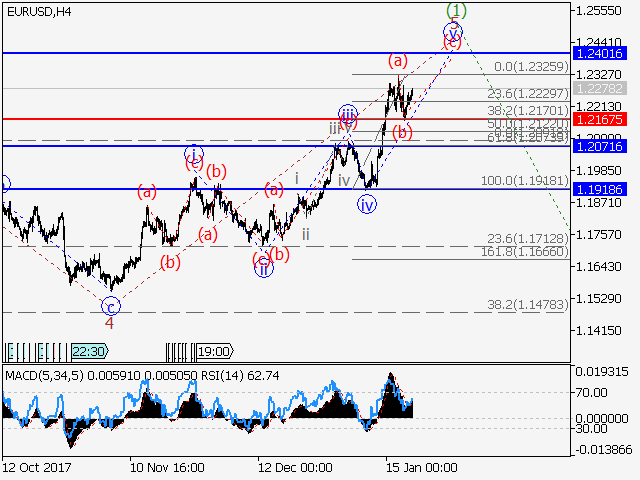 If the presumption is correct, the pair will continue to fall to a level of 1.2220 once the correction has been completed. The level 1.2487 is critical in this scenario. 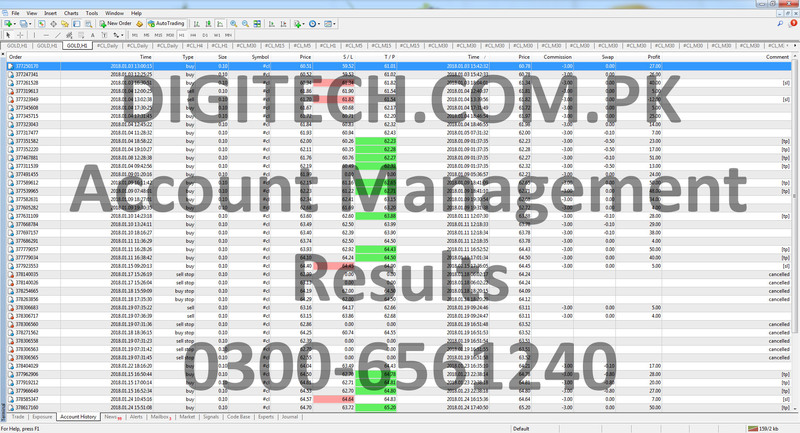 Estimated pivot point is at a level of 0.9514. 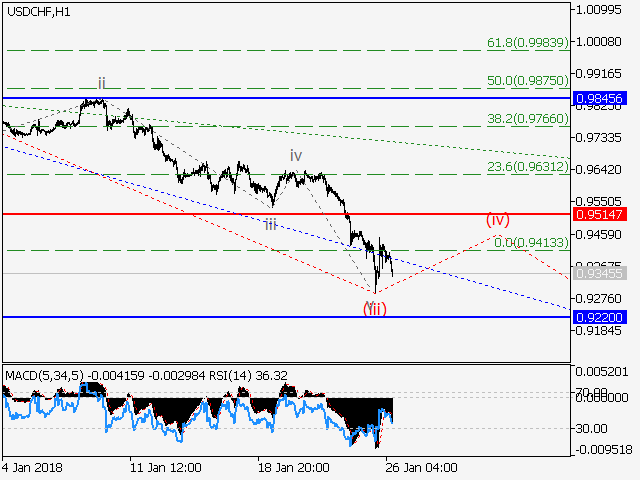 Main scenario: short positions will be relevant from corrections below the level of 0.9514 with a target of 0.9220 and lower. 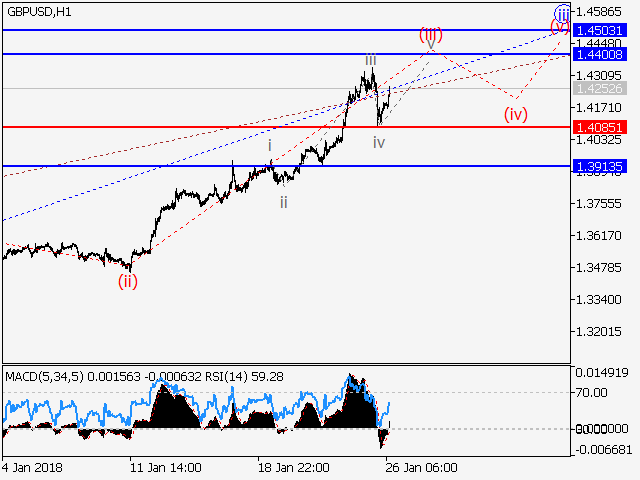 Alternative scenario:breakout and consolidation above the level of 0.9514 will allow the pair to continue rising to a level of 0.9845. Analysis: Supposedly, a downward trend within the third wave of senior level (3) continues to develop within the 4-hour time frame. Apparently, the first wave 1 of (3) is forming now, with the wave iii of 1 of junior level developing within. 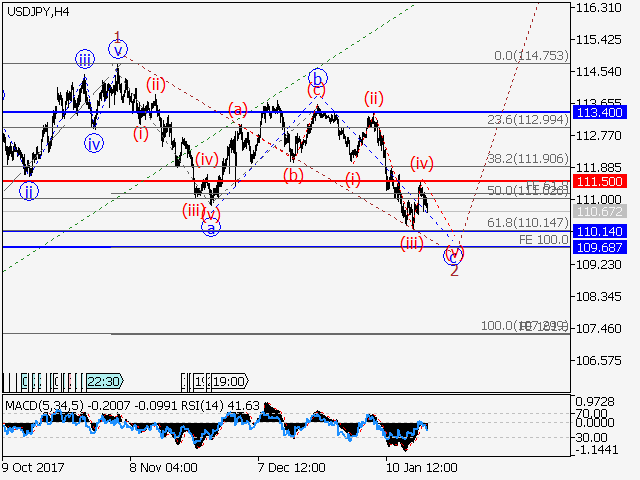 If this assumption is correct, the pair will go on dropping to the level of 0.9220 and lower. The level 0.9514 is critical in this scenario. 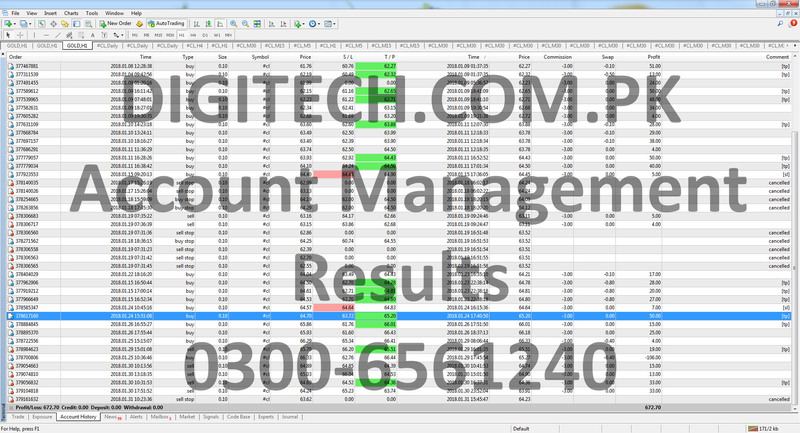 Estimated pivot point is at a level of 1.4085. 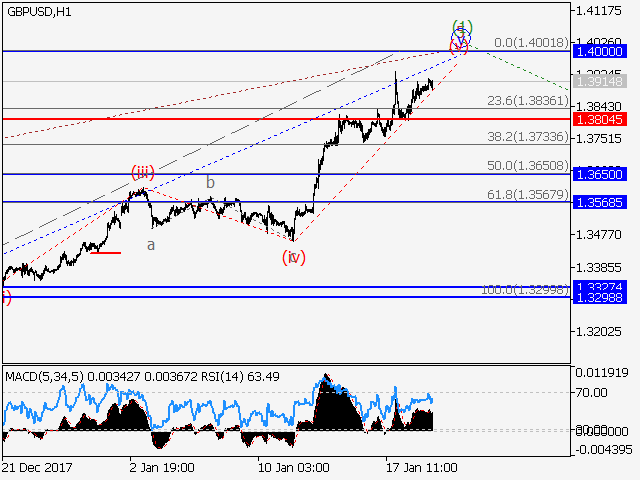 Main scenario: long positions will be relevant from corrections above the level of 1.4085 with a target of 1.4400 – 1.4500. Alternative scenario: breakout and consolidation below the level of 1.4085 will allow the pair to continue declining to a level of 1.3913. 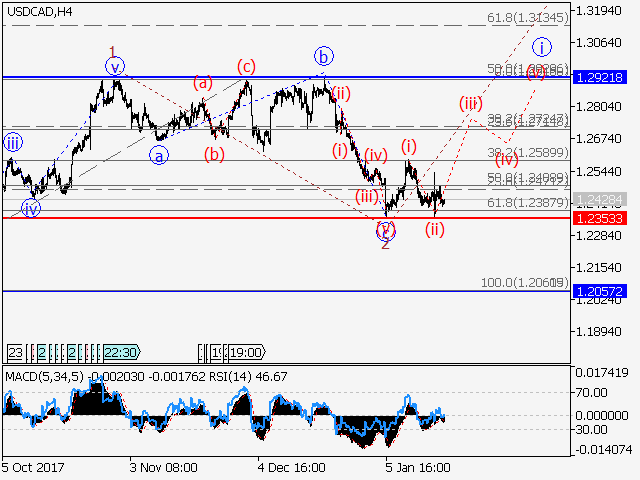 Analysis: The fifth wave 5 of (1) of senior level is supposed to continue forming within the 4-hour time frame. Apparently, the third wave iii of 5 of junior level is forming locally, with an impetus developing inside. 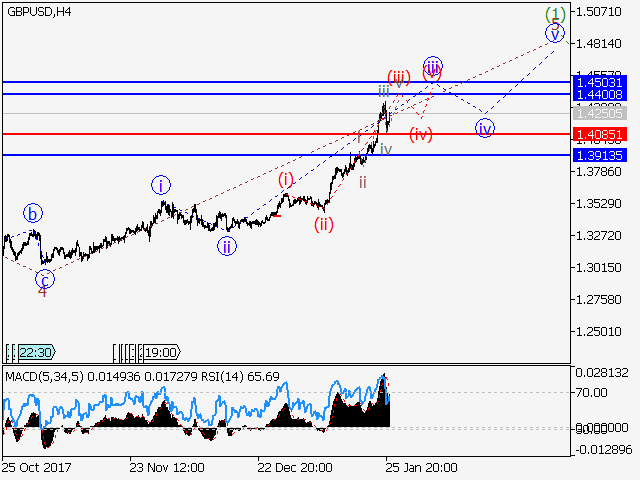 If the presumption is correct, the pair will continue to rise to levels 1.4400 – 1.4500. The level 1.4085 is critical in this scenario. Estimated pivot point is at a level of 109.80. 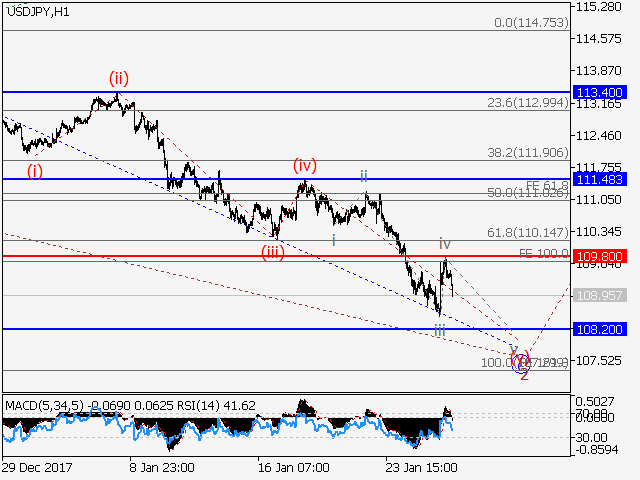 Main scenario: short positions will be relevant from corrections below the level of 109.80 with a target of 108.20. Alternative scenario:Breakout and consolidation above the level of 109.80 will allow the pair to continue the rise up to the levels of 111.48 – 113.40. Analysis: Supposedly, a descending correction in the form of the wave 2 of senior level continues developing within the 4-hour time frame. Apparently, the wave с of 2 is forming now, with the wave (v) of c developing within. 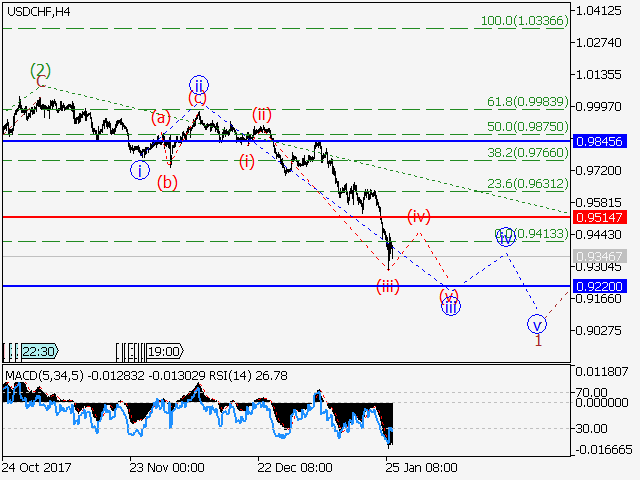 If this assumption is correct, the pair will go on dropping to the level of 108.20. The level 109.80 is critical in this scenario. Estimated pivot point is at a level of 1.2353. 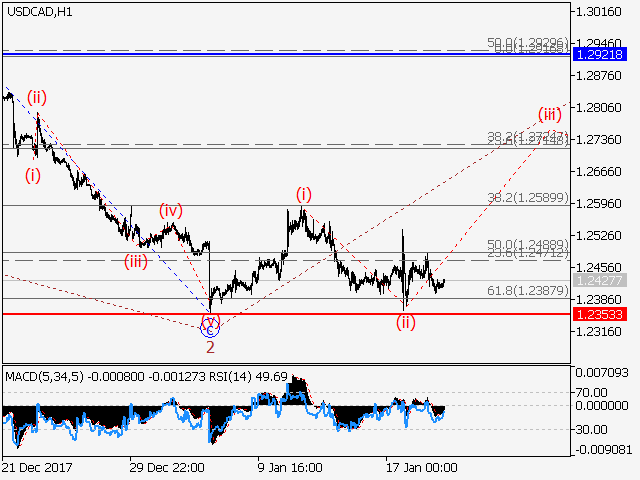 Main scenario: long positions will be relevant from corrections above the level of 1.2353 with a target of 1.2920. Alternative scenario:breakout and consolidation below the level of 1.2353 will allow the pair to continue declining to a level of 1.2057. Analysis: Supposedly, a correction stopped developing within the 4-hour time frame, reaching a retracement level of 62% in the form of the wave 2 of (5) of senior level currently shaped like a plane. Apparently, the third wave 3 of senior level started forming now, with the first wave of junior level (i) developed and the correction (ii) completed inside. 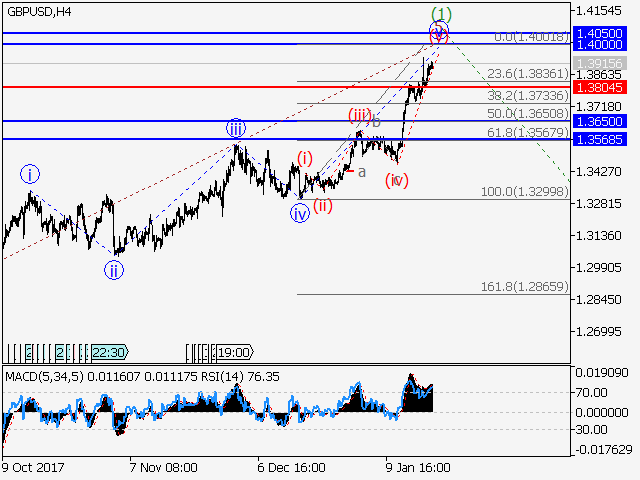 If the presumption is correct, the pair will logically continue to rise to a level of 1.2920. 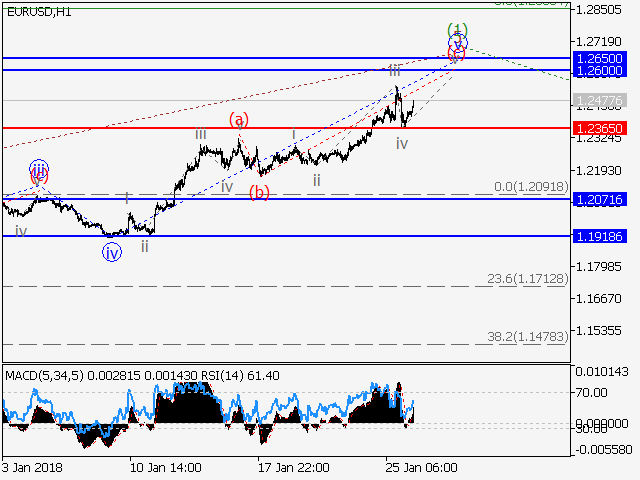 The level of 1.2353 is critical in this scenario as the breakout will enable the pair to continue declining to the level of 1.2057. 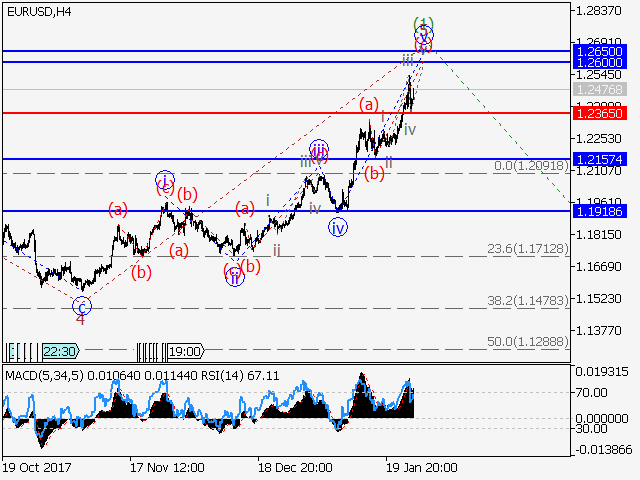 Main scenario: long positions will be relevant from corrections above the level of 1.3804 with a target of 1.4000. 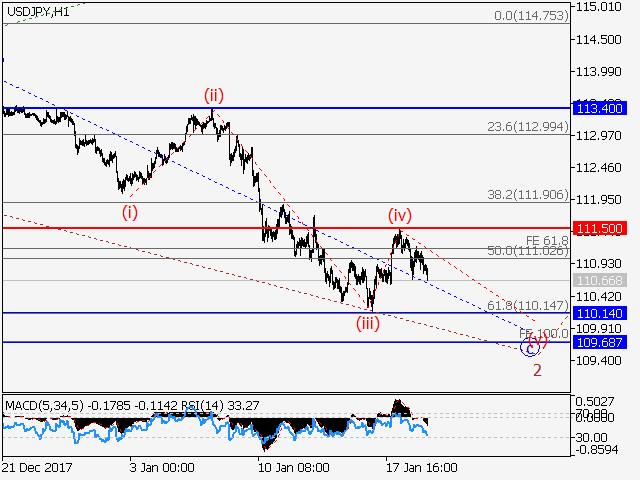 Alternative scenario: Breakout and consolidation below the level of 1.3804 will allow the pair to continue declining to the levels of 1.3650 – 1.3568. 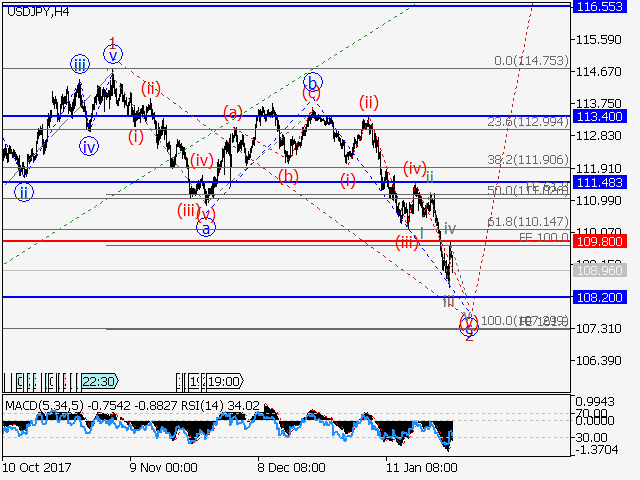 Analysis: The fifth wave 5 of (1) of senior level is supposed to continue forming within the 4-hour time frame. Apparently, the wave v of 5 of junior level is forming locally, with the wave (v) of v developing inside. If this assumption is correct, the pair will go on growing to the level of 1.4000. The level 1.3804 is critical in this scenario. Estimated pivot point is at a level of 1.2167. 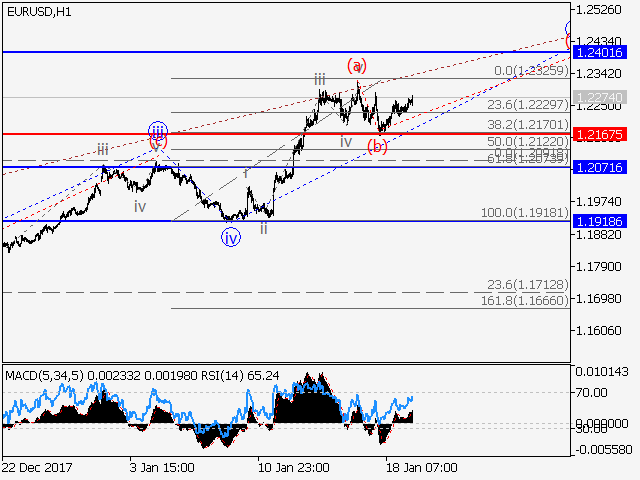 Main scenario: long positions will be relevant from corrections above the level of 1.2167 with a target of 1.2400. Alternative scenario:Breakout and consolidation below the level of 1.2167 will allow the pair to continue declining to the levels of 1.2070 – 1.1918. Analysis: Supposedly, the fifth wave 5 continues forming as a diagonal triangle within the first wave 1 of senior level within the 4-hour time frame. Apparently, the final fifth wave v of 5 is developing now, with the wave (c) of v forming within. 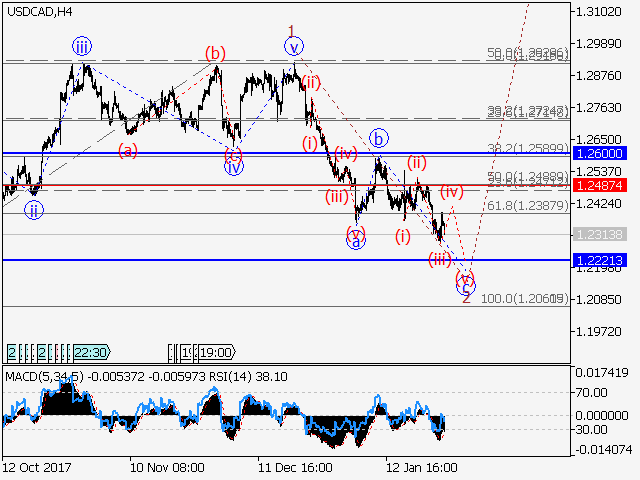 If this assumption is correct, the pair will go on growing to the level of 1.2400. The level 1.2167 is critical in this scenario.